It's the Great Tank Bonanza over on Indie Sew, where a bold group of sewists whip up two different summer staple tops to compare and contrast every aspect of fit, and construction. 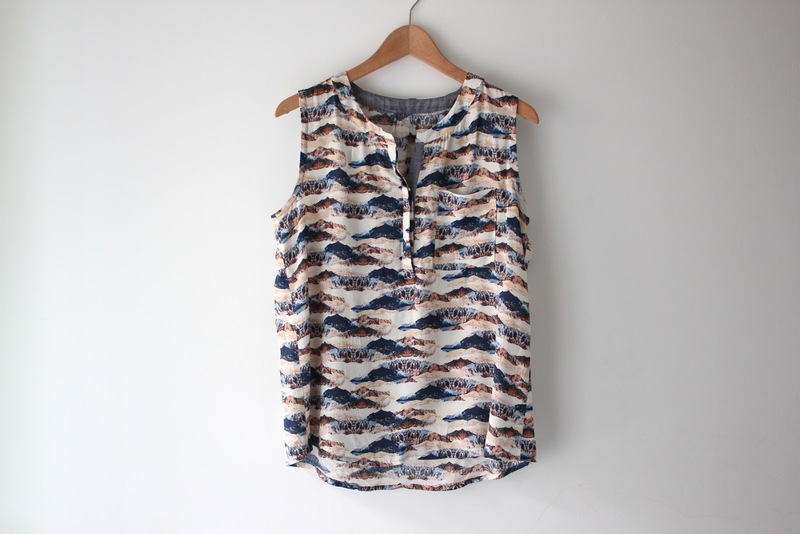 I'm excited to play along because woven tanks have a starring role in my summer uniform. 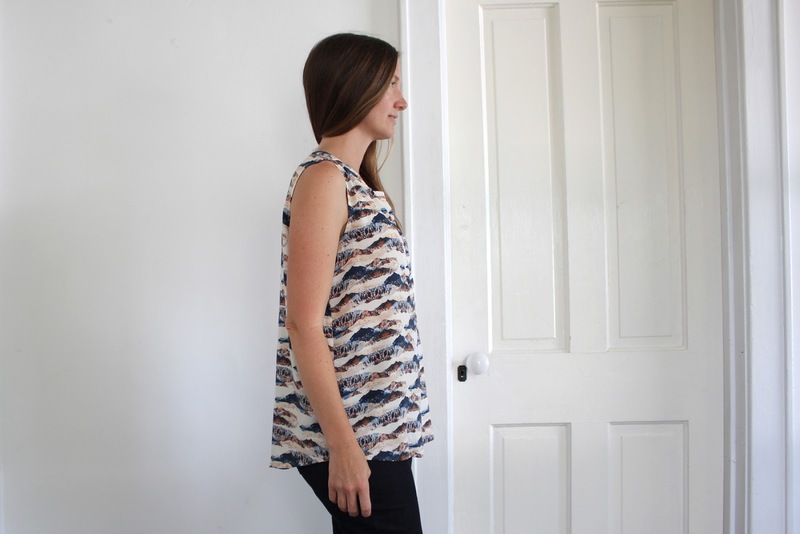 First up is the Biscayne Blouse from Hey June Patterns. 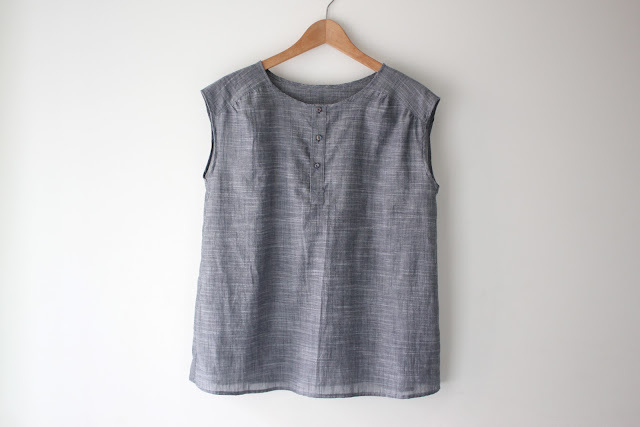 This tank has gentle gathers along the front and back neckline, a faced neck band, two pocket options, and a shaped hem. 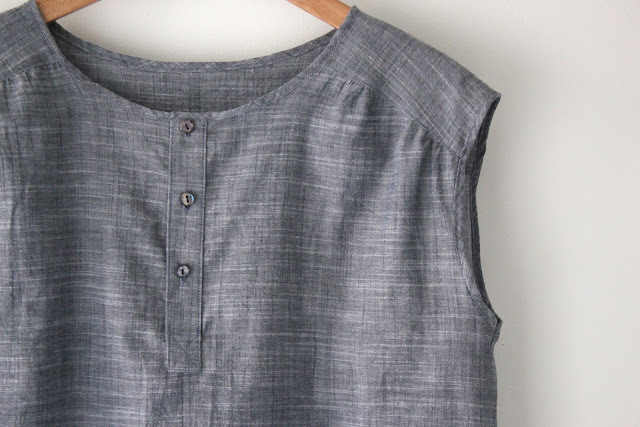 The buttons on the button placket are concealed behind a decorative flap. The Biscayne is ever so slightly more fitted than the Mercer Tunic, though both work great worn loose over skinny pants. For comparison purposes, I'm wearing both tanks with my (often worn, but never blogged) Safran Pants by Deer & Doe. 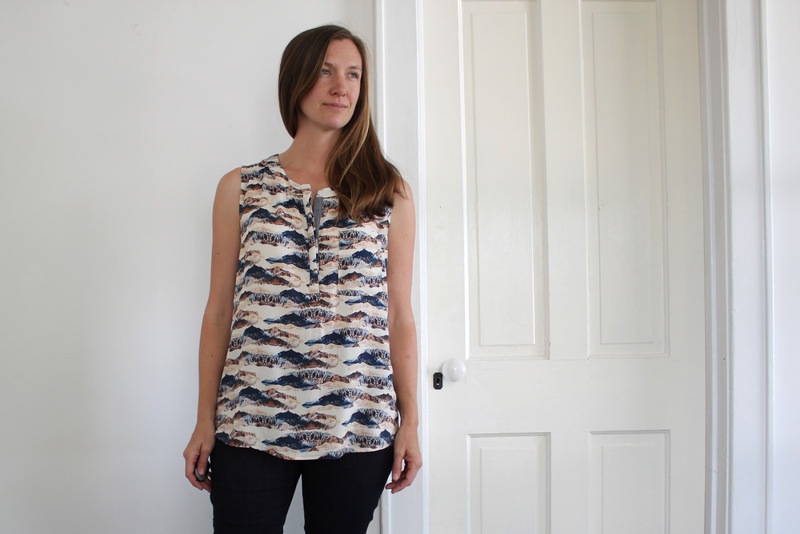 My Biscayne is made with the new Art Gallery Fabrics rayon print Mountain Mirror designed by April Rhodes. 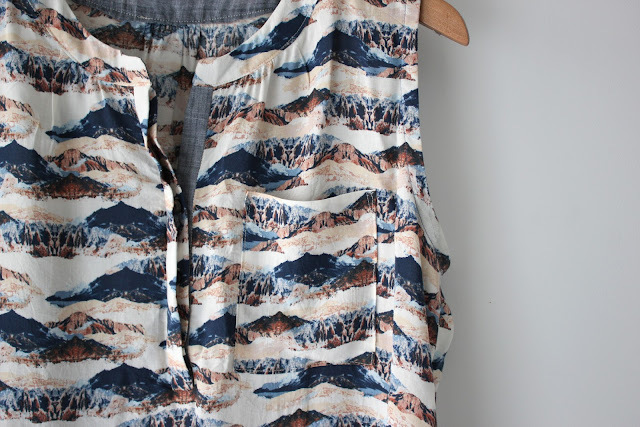 Rayon is a great choice for a design that really stands out in a drapey fabric. I chose my size based on my measurements, and I'm happy with the blousy fit. The only alteration I made was to raise the arm opening 1/2". The day I finished making this top I wore it the rest of the day with my Safran Pants as shown above. The very next day I wore it again. Two days in a row! I love it that much. 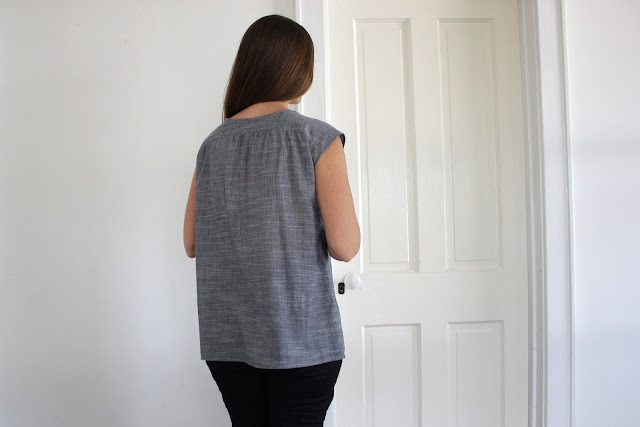 Check out the last image of this post to see how I wore it the second time around. 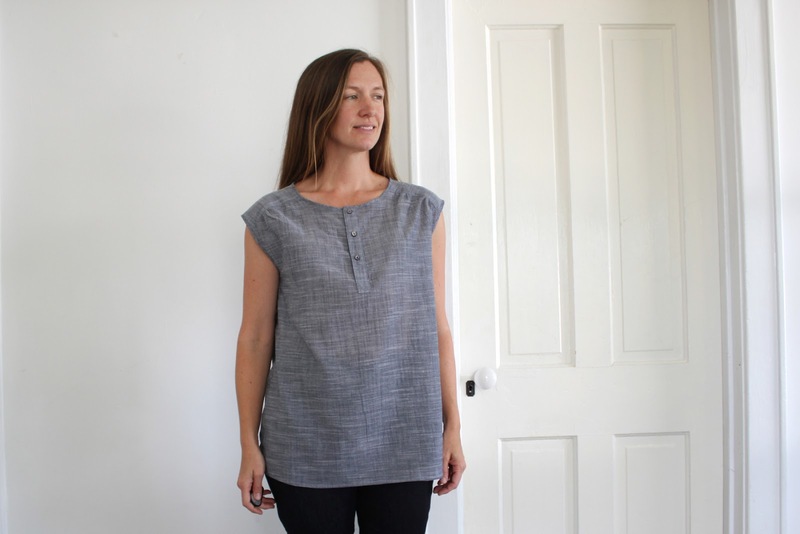 The Mercer Tunic by Whitney Deal is an uber simple top. 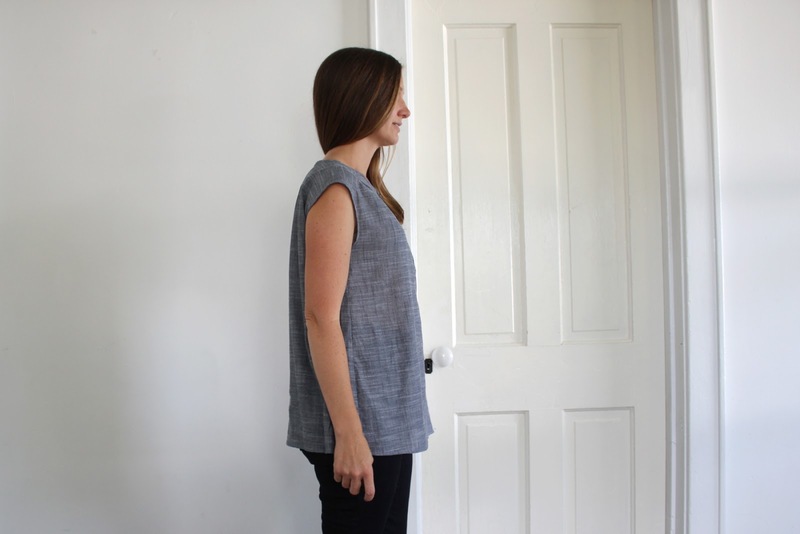 It has an easy fit through the shoulders, and is oversized through the bust, waist and hips. The design highlights are the button placket, back yoke, gentle gathers at the front and back, and a straight hem. The arm and neck openings are finished with bias binding. 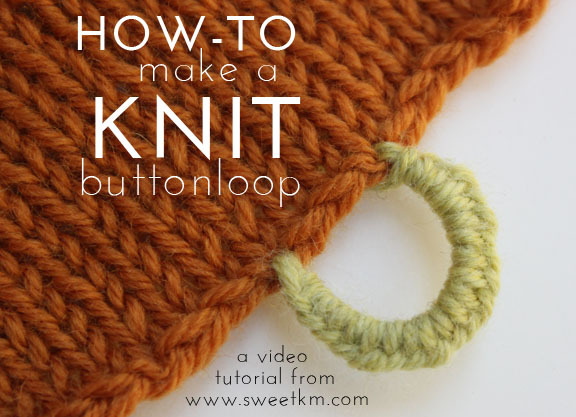 The button placket, and yoke are a fun opportunity for color blocking, or using coordinating fabrics. This design has a very boxy cut. The wide shoulder is bordering on a cap sleeve, giving this design a respectable amount of shoulder coverage. 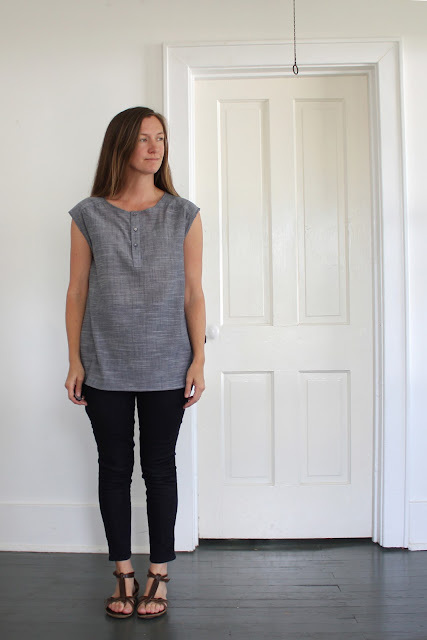 My Mercer Tunic is made with my very favorite Robert Kaufman Chambray Union Light (also used as the contrasting fabric on the Biscayne Blouse). I sewed one size smaller than my measurements, and this top is still plenty roomy. I also took 2" off of the length so the hem would hit just at my hip. Both tanks took about the same amount of time to make from PDF to finished garment. Both are expertly drafted, and instructions are well presented. 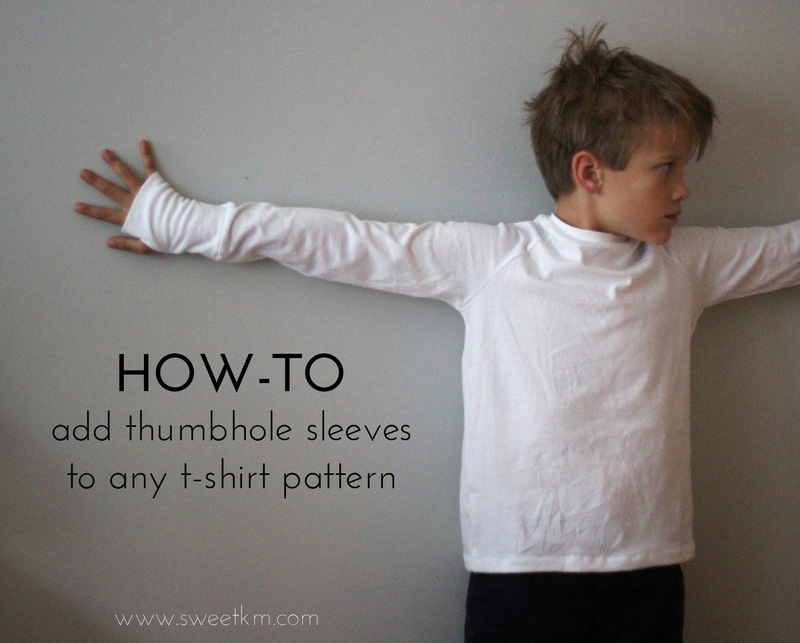 Either would be a great place to focus on perfecting your partial placket installation skills. 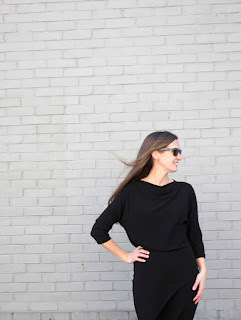 I think the Biscayne blouse is a skosh more dressed up than the Mercer Tunic. The professional detailing of both designs would be great for the office as a shell, but the adult style lines, and modest coverage wouldn't prevent you from taking off your jacket or cardi. 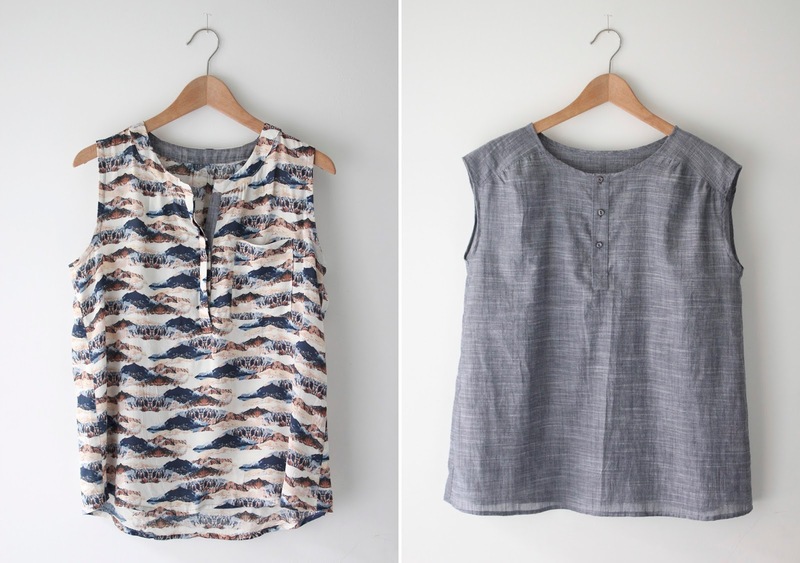 I wear breezy tanks with skinny jeans daily, here are a few alternate woven tank outfits to get me out of that rut. 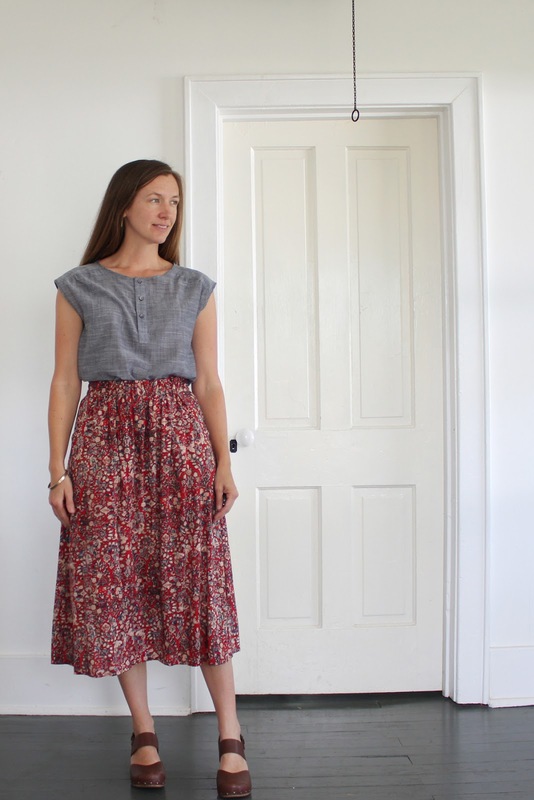 I'm loving the chambray Mercer Tunic tucked into a self-drafted rayon midi skirt, and clogs. It's put together, but still heat friendly. This is my favorite look and very "me" right now. 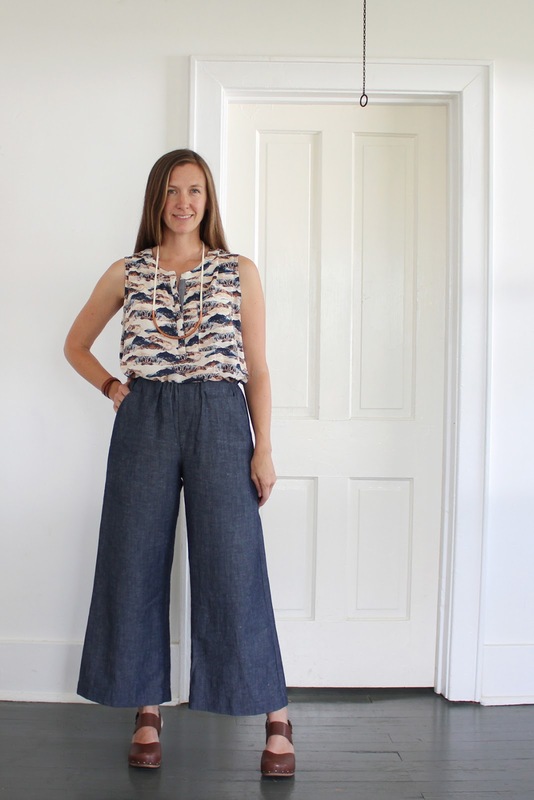 The Biscayne Blouse paired with the longer of my Curved Copper Tube Necklaces, self-drafted wide leg pants (similar), and clogs. 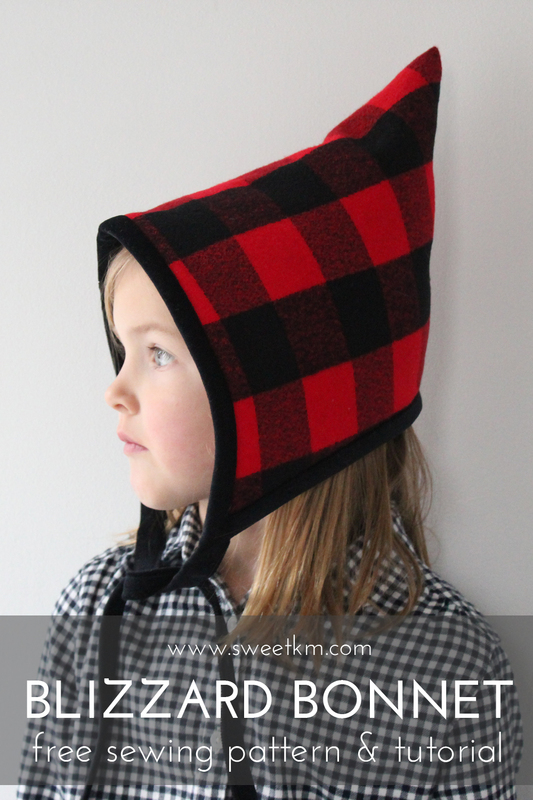 It's respectable, and easy to wear. 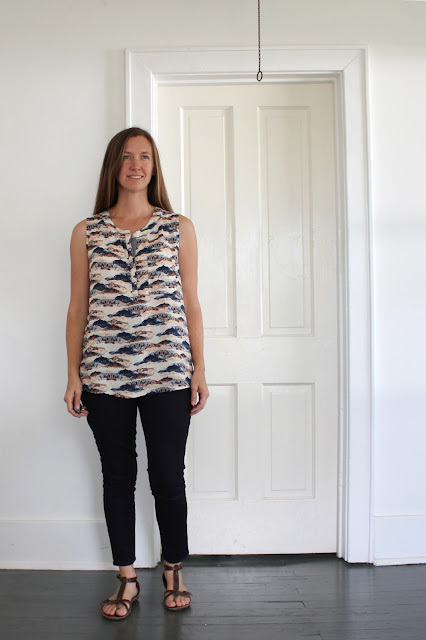 You can get your copy of the Mercer Tunic and Biscayne Blouse sewing patterns along with a whole lot more summer tank inspiration over at Indie Sew. Check out Allie's blog post for a discount! This post is sponsored by Indie Sew. All thoughts are my own. 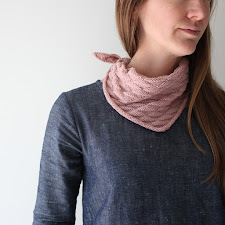 These look terrific Kristi, so well made and a great fit on you. But I must say you can't sneak in those Safran pants so casually! They look fabulous! Hope you get to blogging them soon! I love/hate these Safran Pants. I made a modified pull on version, which I love, but I hate the fabric. It stretches way out in the thighs and is still to tight in the calf...classic cheap stretch denim issues. 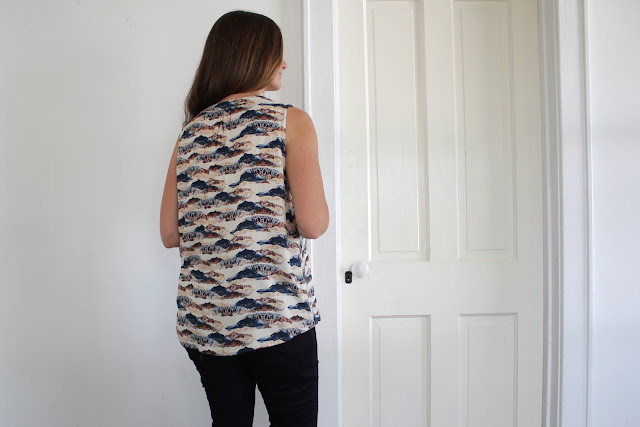 I've been meaning to make (and blog!) a better pair for months!